Sayan Kijmano, chief of the Phang Nga Disaster Prevention and Mitigation Office, said Phang Nga has been hit by heavy rain recently so tour guides should be aware of possible flash flooding in caves. 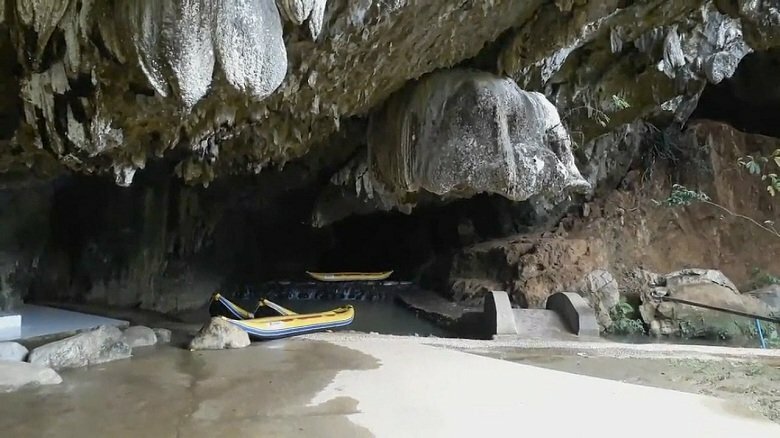 Sayan said he feared that tourists might be trapped like in Chiang Rai so tour guides and officials should prohibit tourists from entering the caves following heavy rain. He said security would be especially tight at the Tham Phung Chang (Elephant’s Tummy) Cave in Muang district which tourists like to explore. How about fencing off the entrance and only allowing access when safe. Too easy I guess. And when the fuss is over just leave the gate open. Barn door and horse come to mind. Leaving it up to the tour operators is like having the fox guard the hen house. With all due respect to the fox.